Coral Slime (Ceratiomyxa fruticulosa var. 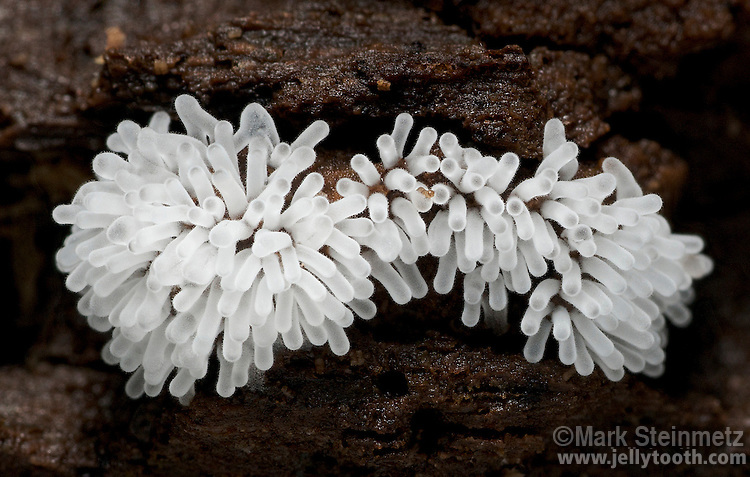 fruticulosa), a slime mold resembling coral or icicles in its early fruiting state. The fuzzy appearance of each projecting column (approx 2mms long) is created by attached spores. Licking County, Ohio.